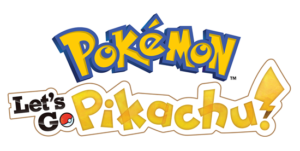 So, we can all breathe a great sigh of relief now that we know we are getting a new set of pokemon games this year. Another plus: these titles are for the Nintendo Switch. I, for one, have been in high suspicion about getting anything this year due to the lack of anything from Nintendo or Game Freak until just now. Ok…now that we got that out of the way, let’s talk about what was revealed! From the video we can see a link between Pokemon Go and the new Switch games. Myself, I am not to fond of Pokemon Go as Ninantic has had its troubles of supporting the game in the past, but I will give it another chance if this works out well. The games seem to implement a similar (if not the same) type of ability to capture Pokemon. We see some enhanced graphics shown off in the video. I must say it does look pretty nice to see that after the last few games having some issues on the 3ds’ hardware. The theme of the video seems to be about a new take on our “first adventure”, which most likely means a return to Kanto in one form or another. A new item coming with this game: 2 players being able to play together, seemingly as a co-op mode. Another new item is the new Pokeball Plus, allowing the players to take their Pokemon in a lifelike Pokeball around with them. It seems like transfer between Pokemon Go and your Switch game will occur in some fashion. Pokemon following you makes a triumphant return. 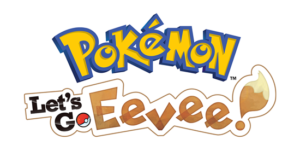 It seems like you’ll be able to dress up Eevee and Pikachu in the game…unknown if any other Pokemon will be able to do that. And teased at the end was something about a new Pokemon. The games are set to release on November 16, 2018. The Pokeball Plus will also release on the same date. With E3 just around the corner, more sneak peeks will probably release and we will be certain to keep on top of any of them in our Forums and on our Main Site. Just a man with a plan.